I had purchased a Pisces Book once before so was expecting the same informative style. The Smit's book surpassed my expectations. 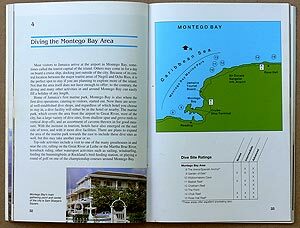 The descriptions of the dive sites are very complete with specific details about how you should approach each site. For example: when giving information about one site they said, "...keep your fins away from the bottom because it is covered with fine sediment, which when disturbed will immediately reduce visibility." 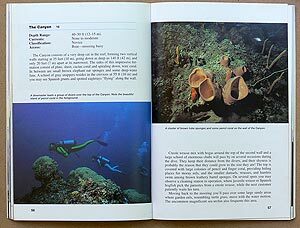 I found the section on Potentially Hazardous Marine Life fascinating and quite blood chilling. The method for staring down a barracuda was gripping but not something I want to try. The photographs are absolutely marvelous. They really make the book a treasure. The only criticism I have is that I would like a little more detail on the maps. I also would have liked some background about the geological history and environment that has spurred the fantastic coral growth.